The third cohort is starting BNest Incubator Programme is September – and it is a great reason to celebrate those around us who are determined to change things for better! Please come to learn more about your local social enterprises, show your support, meet current and previous BNest participants and listen to our inspirational speakers. We will confirm guest speakers soon, but make sure to save the date! We are getting so excited about the launch, because we have already met a lot of really passionate applicants with great ideas – and applications are still open for another two weeks! So, if you’re sitting on the fence – you can’t really go wrong by applying – we would love to hear from you. Minister Ring launches Public Consultation on the National Social Enterprise Policy. 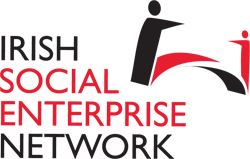 The Irish Social Enterprise Network is the largest open and inclusive network for social enterprises, social entrepreneurs and social innovators in Ireland.